On Sunday the clocks in the UK will go forward one hour. Well, that is to say we will all have to change each available clock by hand unless you’ve got digital ones which automatically adjust. These are quite weird to watch because all of a sudden the hands start moving as if some cosmic force has grabbed hold of them. 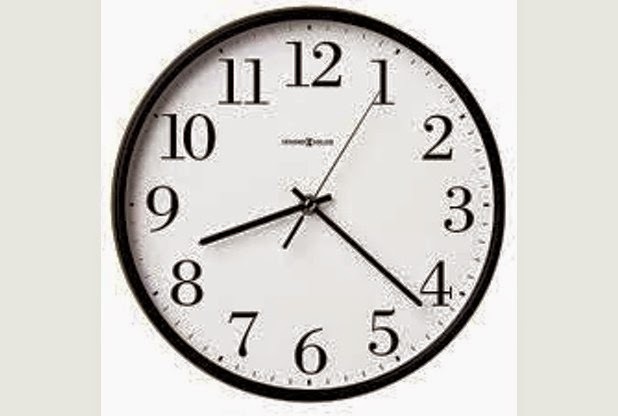 If you don’t have all digital clocks then it is worse in the autumn when you have to wind the clocks forward eleven hours because you should never wind them back. I don’t know why, it could have something to do with waking a temporal demon that gets so angry it won’t stop singing. Seriously though why do we do it/? Having established a system of measuring time we mess about with it twice a year. A clock, yesterday. 8.22 yesterday in fact. I’ve missed this, the thrill you get from watching anything Russell T Davies has written. Yes it’s a bit rough round the edges, packed with incident sometimes at the expense of logic but his work challenges and grabs your attention in the way few television writers can. Understandably since his commercial peak running Doctor Who RTD as we call him has been less prolific but anyone who saw his one Wizards Vs Aliens story will know just how strongly it blew the walls out (sometimes literally) of that children’s series. Cucumber is the first series he’s written not intended for a fantasy or children’s audience in over ten years so understandably it has an air of being let off the leash. It is therefore a series that might offend or challenge some people. If there are clichés present- and there are to some extent- that’s only because they are true. Nobody likes being stereotyped but reviewers who claim that the hedonistic path chosen by some characters in this drama is unrealistic haven’t met enough people because there were times when I watched this and thought `oh yeah, that’s just like ######”. That’s not someone with an unpronounceable name by the way! Anyway like the series this review contains adult themes and also plenty of spoilers. If you’ve not seen it and you’re open minded enough to give it a try please do before reading any reviews of it. This is a review of the classic ITV kids serial Children of the Stones originally shown in 1977. The review was in issue 4 of the zine published in late 2002. 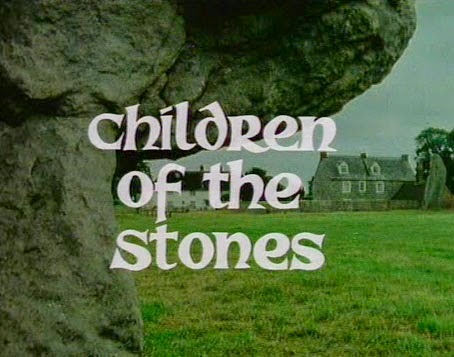 From the start, Children of the Stones is drenched in cold pagan shadows which is ironic considering it was filmed in an obviously glorious summertime. Standing alongside Sky and the much later Century Falls (and of course Doctor Who) this is TV made for kids with adults in mind which refuses to pander to teenage whim resting instead on storytelling and mystery. 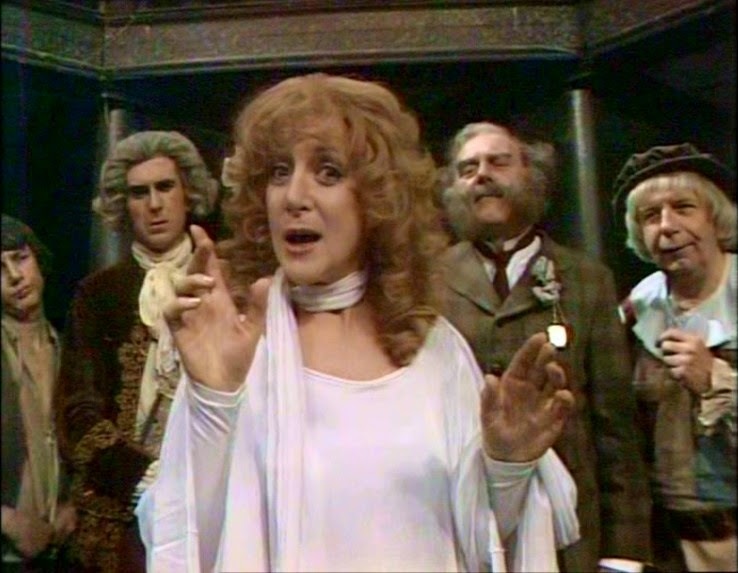 There is a tremendous sense of identity to the 7 episodes helped by the fact that most of the incidental music is choral and a bit mad but it has the effect of pulling you right into things (not to mention having to reach for the remote control to turn the volume down). 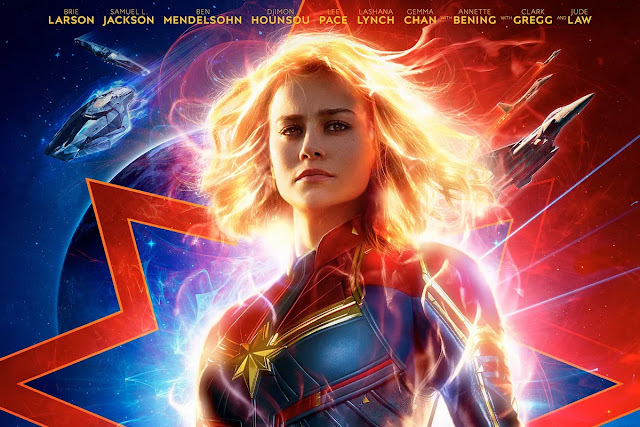 The script is delightfully fulsome and packed with science based exposition that, thanks to the able cast, never sounds dull and is actually rather fascinatingly grounded stuff. In a near future Johannesburg, robot police have been successfully deployed but their creator Deon Wilson wants to develop the idea and introduce consciousness, something that his boss Michelle Bradley forbids. 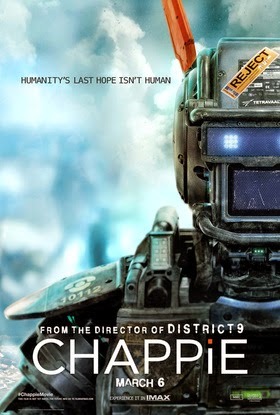 However when a criminal gang kidnap him to force him to adapt a robot they’ve stolen he sees an opportunity to test his idea. Meanwhile his rival for funding Vincent Moore, frustrated by the company’s refusal to further develop his altogether less subtle Moose law enforcement robot, exploits the situation to his ends. It’s an intriguing scenario especially with the surrounding South African locale providing a different look while a pacey narrative is never less than gripping. It’s always refreshing to find a gem of a tv programme lurking and recently I found Mayday which I had never watched for no particular reason. 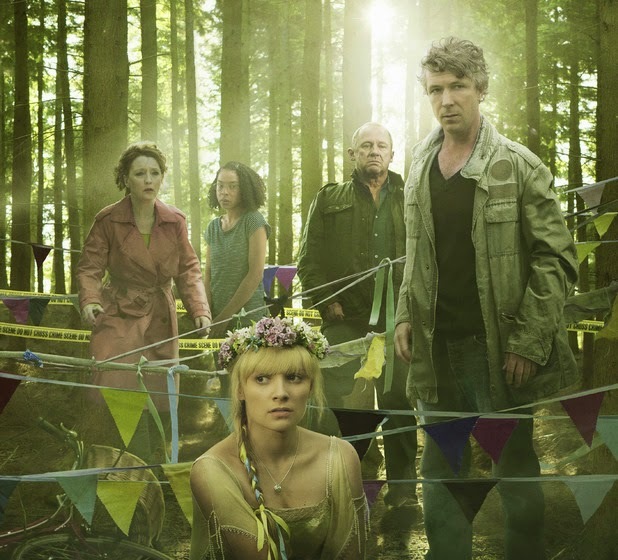 A 5 part serial shown on BBC1 it definitely has a feel of Broadchurch about it. As both were shown very close together in early 2013 this is a case of synergy but it is obviously true that Broadchurch made a much bigger impression. 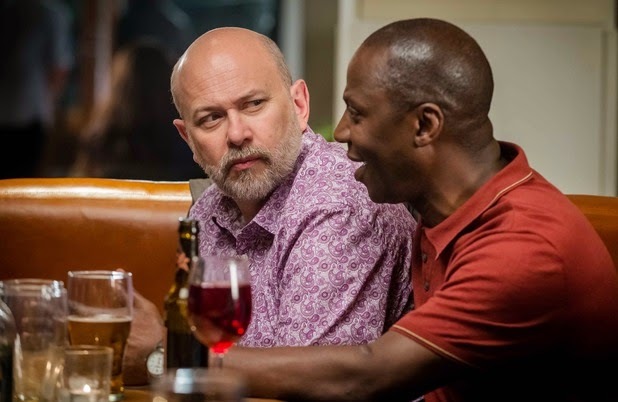 In the event similarities are more superficial; Broadchurch relies very much on the effect the case has on its participants and onlookers across a broad spectrum of characters. It plays as much on the drama tradition of village life- even though not technically set in a village- as it does anything. Mayday narrows its field of vision to an edgier place. It singles out specific characters that start to believe someone near to them may have committed the crime. We see their discoveries, reactions and actions, some of which put them into the frame themselves. Plus it makes the central crime itself more ephemeral- whereas Broadchurch pivots around a murder almost from the off Mayday’s potential victim is initially missing. Is she dead or has she run away? We don’t know till part four and this adds a note that makes for compelling viewing. In 2005 as part of our big feature on The Ghosts of Motley Hall, I emailed Sheila Steafal to see if she would be willing to provide a short piece about the series and she obliged. She also amended the biog I’d written for her career and both appeared in issue 15 in 2005 and can now be seen here. The full Ghosts of Motley Hall article and episode guide can be found in the book Tomorrow Is Now – The Best of This Way Up 2002-2014 available from Amazon in digital or printed format. See the Things to Buy page. 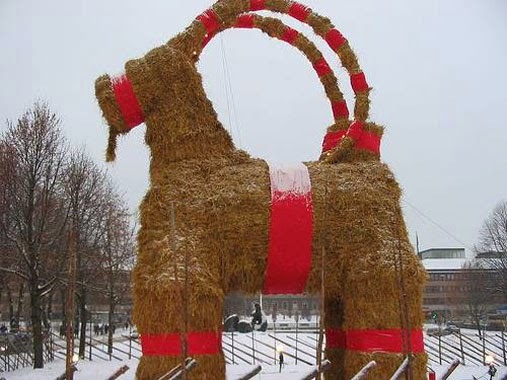 The Chinese Year of the Goat may only come round every so often but in one Swedish town it is every year!